Dr. Rajkumar (real name: Singanalluru Puttaswamayya Mutturaju) (April 24, 1929 – April 12, 2006) was one of the most popular actors of movies made in Kannada, the language of Karnataka, a southern state of India. He was an icon in Karnataka and was seen as a role model to millions of Kannadigas. “Dr. Raj” or “Annavru” (big brother) to millions of his fans, he was sometimes called the John Wayne of South Indian cinema. He acted in more than 200 movies over 50 years in Kannada. Some of his popular films include Bangaaradha Manushya (The Golden Man), Kasturi Nivasa, Gandhadha Gudi,Gandhadha Gudi and Jeevana Chaitra. He was also a well-known singer, as a playback singer as well as of devotional songs. Rajkumar was born in Gajanur, a village near Karnataka-Tamil Nadu border in Tamil Nadu, India. He was born to Puttaswami who was a famous Kannada dramatist. Rajkumar’s mother tongue was Kannada. He was the eldest son of his family. His official name was S.P. Muthuraju, which was named after Lord Muthathi-rai (Lord Hanuman). His name was changed to “Rajakumar” (meaning Prince) when he entered films, by H.L.N. Simha who directed Rajkumar’s first movie Bedara Kannappa. The title of Doctor in his name came after he was awarded a doctorate by Mysore University for his contribution to films. Rajkumar started his career as a dramatist with his father in a troupe led by Gubbi Veeranna. There, he learned all his acting and singing skills. During his career on stage he became famous for his role as Arjuna. Bedara Kannapa was his first movie in the lead role. He made the first independent Kannada movie called “Ranadheera Kantheerava” exclusively with pure Kannada technicians and cast, and succeeded in a big way. The same event marked the emergence of the Kannada Cinema industry as an independent entity separate from other south Indian cinema industries. Dr. Rajkumar was also one of the most versatile actors in Indian cinema. His character depictions ranged from comedy to action, from lover to double/triple roles, from mythological characters to portrayal of modern day social causes. He acted with the most popular heroines in southern Indian cinema, such as Kannada’s Pandaribai, Leelavathi, Jayanti, Bharati, Arati, , Jayaprada, Madhavi, Geetha, Sarita and others from neighbouring states. He acted with many directors of the south Indian cinema from B.R. Pantulu, Puttanna Kanagal to Shankar Nag and Nagabharana. He was known for only acting in Kannada movies, even though he got many offers from different movie industries in India. Actors who have acted with him considered it an achievement of their lifetime. Prithviraj Kapoor acted in the movie Saakshatkara in the role of Dr. Rajkumar’s father. In his lifetime, Dr. Rajkumar acted in 206 Kannada movies, excluding the guest appearances. He had a film production company called Vajreshwari Combines. Bhagyada Bagilu was his 100th movie and Devatha Manushya was his 200th movie. He was also well trained in Yoga and horse riding. At his peak he is said to have worked out for 3 hours and practised pranayama, a form of meditation, every day. Two of his most famous performances were in his own productions – Kaviratna Kalidasa and Shankar-Guru. He produced movies based on famous Kannada novels. He was ably supported by his friend and script writer Chi.Udayashankar. He chose stories which usually had a social message for the audience. He also made many movies against social evils. One such movie is Shabdavedi which is against the evil of drugs. He never smoked a cigar/cigarette or acted as an alcoholic in any of his movies (excepting a few in the initial days of his film career). In real life too, he was a non-smoker and non-alcoholic and maintained a very high standard of living, performing daily Yogasanas and following a strict diet. Though he had numerous chances to try his hand at Indian politics owing to his mass following, he shied away from active politics focussing his energy towards art and cinema. Dr. Rajkumar still has a large fan following throughout the world. His most memorable films include Bedara Kannapa, Bangarada Manushya, Kastoori Nivasa, Sri Krishnadevaraya, Kula Gowrava, Gandhada Gudi, Sampathige Sawal, Shankar-Guru, Babruvahana, Bhakta Prahalada, Halu Jenu, Bhagyada Lakshmi Baramma, Jeevana Chaitra, Akasmika, Premada Kanike, Vasantha Geetha, Apoorva Sangama, Daari Tappida Maga, and many others. Dr. Rajkumar was also a famous singer. He won the national award for the song “Naadamaya” of the movie Jeevana Chaitra. His singing career started with the song “Yaare Koogadali” in the hugely popular movie Sampathige Savaal. Later he went on to sing for most of his movies and for many private albums which were mainly devotional albums. His song renditions would range from pure classical to disco and fast numbers to pathos. Although his singing was greatly appreciated, his fans of the days of black-and-white movies in 1960s and 1970s, swear by the fact that his true identity was P.B. Srinivas, who did the playback singing for most of Rajkumar’s movies, until Rajkumar himself started to sing. P.B.Srinivas continued singing for him in many of the movies in which Rajkumar starred in double/triple roles. In his final years, Rajkumar had lent his voice to a few other actors and sang many background solos. One such song which holds a unique distinction was for the movie Muddina Maava wherein he had provided playback to the legendary singer S.P.Balasubramaniyam, who had acted in the movie. This is probably a rare occasion where an actor sings for a singer, which is probably unmatched in the world of cinema. He had sung many devotional songs on Hanuman and Sri Raghavendra Swamiji. One of his most famous songs was “Huttidare Kannada Nadalli Hutta Beku”. The last movie he acted in was Shabdavedi, in which he co-starred along with the famous actress Jayaprada. Rajkumar received numerous state, national and international awards. He received an honorary doctorate from Mysore University in 1976. He won 10 Filmfare awards for the best actor category which happens to be the second highest in the history of Indian films. He won 9 state awards in the best actor category. He also won a National award in best singer category. He received the Padma Bhushan award from the Government of India in 1983 and the Dadasaheb Phalke Award in 1995, in recognition of his contributions to the Kannada film industry. He was rewarded as Karnataka Ratna in the year 1993 by the Government of Karnataka. In the year 1985, Dr. Rajkumar had also won the prestigious Kentucky Colonel award presented in Bangalore by the then Governer of Kentucky state, USA. His fans have conferred him the title “Nata Saarvabhowma” (The Emperor of Acting). Rajkumar had a brother S.P.Varadaraju who worked with him in his production company. He also had a sister by name Sharadamma. He was married to Parvathamma, who later became a film producer. They had 3 sons (Shiva Rajkumar, Ragavendra Rajkumar and Punith Rajkumar) and 2 daughters (Lakshmi and Poornima). He launched all his three sons as actors in Kannada films. On July 30, 2000, at the age of 71, Rajkumar, his son-in-law Govindaraju and two others were kidnapped from the actor’s country cottage at Gajanur in Tamil Nadu by the bandit and terrorist Veerappan. Veerappan was demanding the release of his gang members who were being held in jail under a defunct anti-terrorism law. The event prompted a massive manhunt and threw the Karnataka government into crisis. Rajkumar was released unharmed on November 15, 2000, after 108 days of captivity. His kidnapping and the manner in which his release were secured are a mystery to this day. 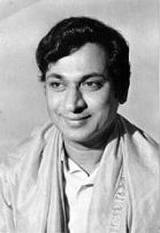 Dr. Rajkumar passed away in M S Ramaiah hospital, Bangalore, on April 12, 2006 (13.45 IST) following a cardiac arrest. Following his death, April 13 was declared a state-wide holiday, in order to mourn the thespian’s passing.His last movie was “Shabdhavedi” and he was believed to have been willing to act again as ‘Bhakta Ambareesha’.He was laid to rest in Kanteerava Studios in Bangalore on 13 April 2006. The city virtually came to a halt as the news spread about the death. The news of his death precipitated a city-wide reaction comparable to the time he was kidnapped by Veerappan. Following the news of his death, Bangalore city saw mob violence by people who seemed to be his fans who had come to mourn for him. An unofficial ‘bundh’ (closure of all shops and other establishments) was announced.